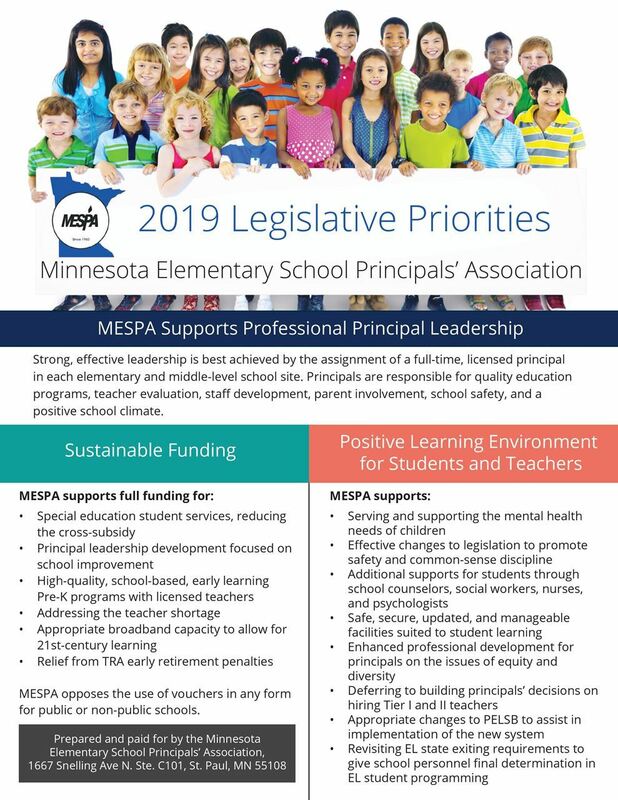 Content for the Legislative Advocacy Center is provided by the MESPA Legislative Resolutions Committee and sponsored by EPAC (the Elementary Principals Action Committee). As the political action arm of MESPA, EPAC promotes MESPA members' political advocacy as one of your ongoing professional responsibilities. Getting at least one local, state, and federal legislator in to visit your school during the school year. Capturing stories about how government policies both harm and help your ability to serve students. 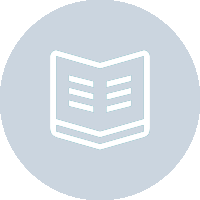 Creating an up-to-date outreach list of active and concerned parents, community members, and others willing to assist with advocacy efforts. Visit the MN State Legislature website to find out who represents your district, tips on writing a letter to a legislator, and to track the progress of bills. Visit MN Budget Bites, an initiative by the Minnesota Council of the Nonprofits, for current articles revolving around Minnesota budget and tax issues. Contributions to the EPAC fund support candidates whose efforts and priorities align with MESPA's legislative priorities. This committee works with MESPA legislative counsel and the executive director to promote legislation favorable to education and the principalship, support active connection between MESPA members and legislators, and works with other associations to develop joint legislative platforms. Click here to find out more. Members receive weekly legislative updates from MESPA lobbyist Roger Aronson during the Legislative Session. If you are a member of MESPA and not receiving the legislative updates, please contact mespa@mespa.net.